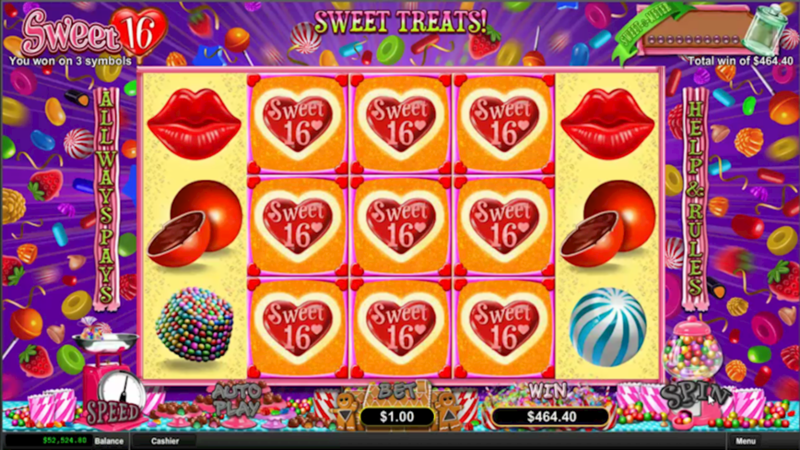 Sweet 16 is a colorful and vibrant new slot release from Real Time Gaming, featuring grouped wilds on reels 2,3,4 & 5. The game has a candy store setting and offers a real eye catching display of color and sweet tasting delights. With multiple key features and vibrant game-play this is a great addition to the slots game category.